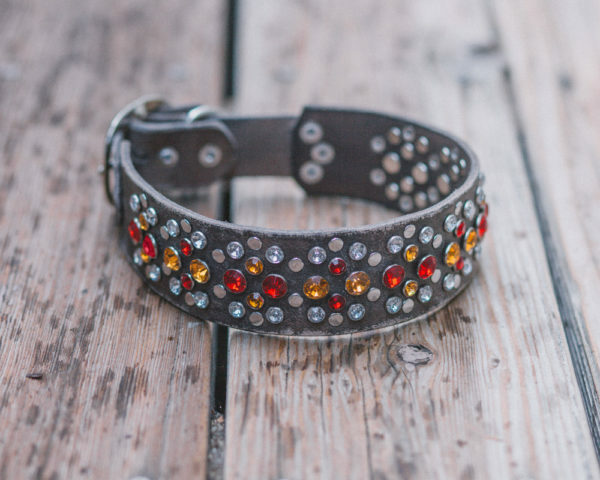 For the dog who desires something extra-fancy, this glamorous collar features an array of gemstones paired with subtle polished studs. The collar measures 2″ wide, with the smaller connecting straps measuring 1 1/4″ wide. Please enter your dog's neck size. (Ex: 16.5") We need this to ensure that your collar will be a perfect fit! Please select the leather color for your collar. Please select the gemstone color you would like. 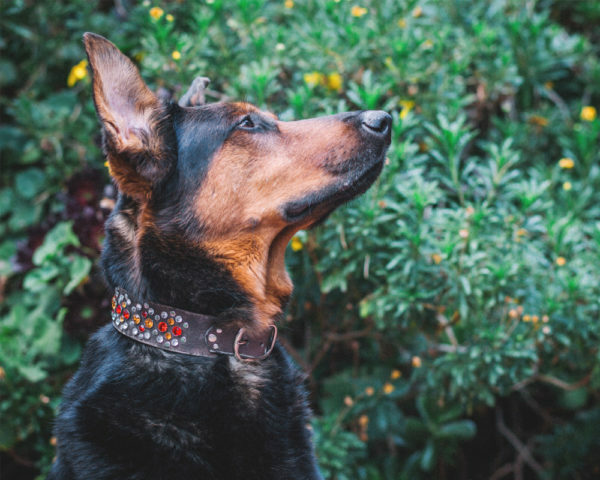 Each Renegade collar is hand made to order and comes with a lifetime warranty. This collar is available with the following options shown below. Please note that monitor calibration varies, so the color swatches are meant as a general guide and the actual color may differ slightly. Each collar is hand dyed and distressed for a unique finish. We currently have the following colors available. This collar is available in the following hardware colors. This collar is available in the following gemstone colors. 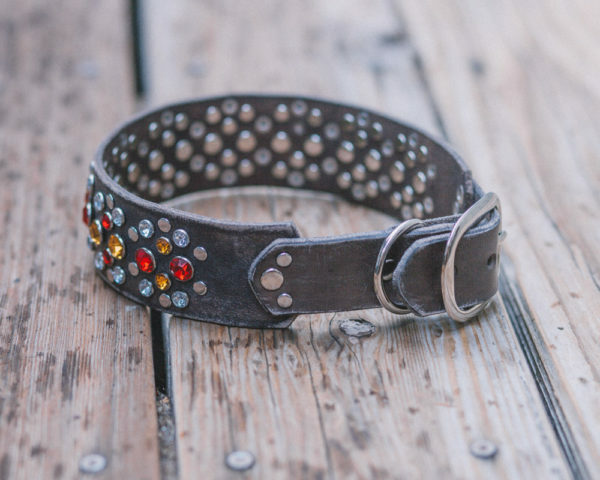 Renegade Collars specializes in designer leather dog collars. All of our collars are hand-crafted right here in the USA using the finest quality materials available. © Renegade Collars. All Rights Reserved.